Peabody is unique among the animals at Animal Ark. He is a reptile and not a predator. He is a charming favorite of many of our young visitors. Peabody was brought to Aaron and Diana Hiibel (Animal Ark Co-Founders) in the spring of 1987 by a firefighter who had helped save their home from a wildfire three years earlier. Apparently, Peabody had been a pet, probably with several different families. Mr. Peabody serves as an ambassador for his species in Southern Nevada that is threatened with extinction. Jonni was given to Animal Ark by a family that felt she would have a better home here as well as be available for young children to observe and learn about. When Jonni arrived on June 10, 1993, she weighed about 40 grams and measured just 2 ½ inches from front to back. She was originally from the wild, but was later picked up by someone who saw her wandering near a city street. 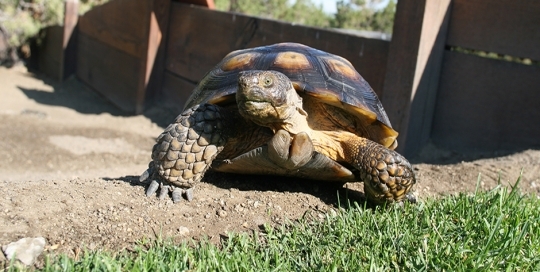 Tortoises are protected by the federal government and should not be removed from the wild. 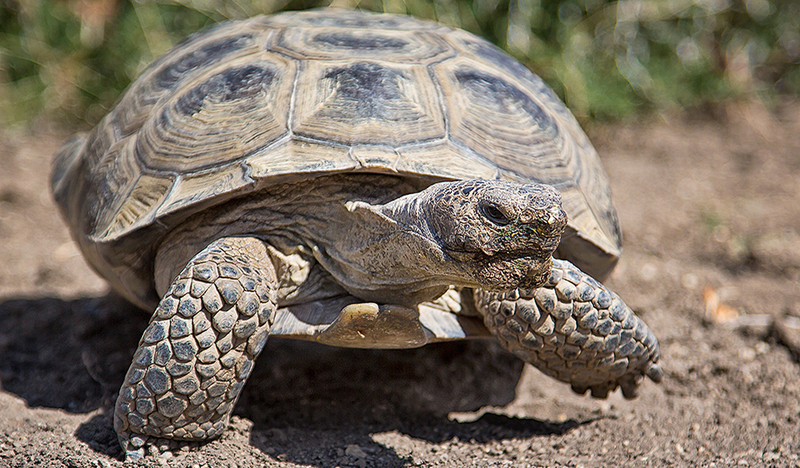 Desert tortoises need very specialized care, and young hatchlings even more so. Jonni has grown tremendously and in 2004, was identified as a female. 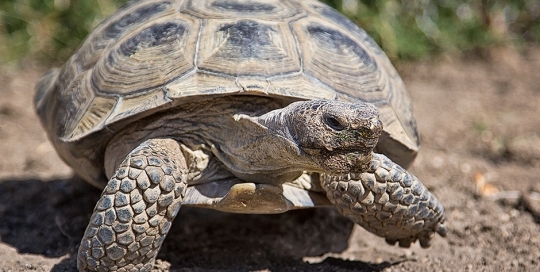 It may take as long as twenty years before a tortoise reaches full maturity. 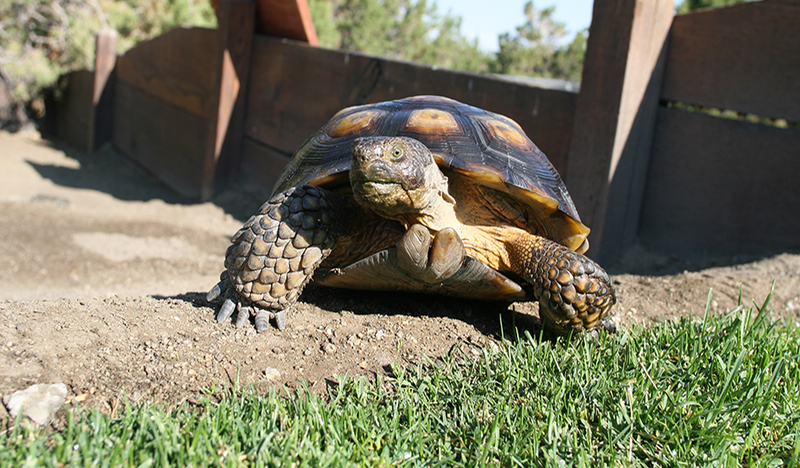 In Nevada, the desert tortoise is listed as a threatened species.